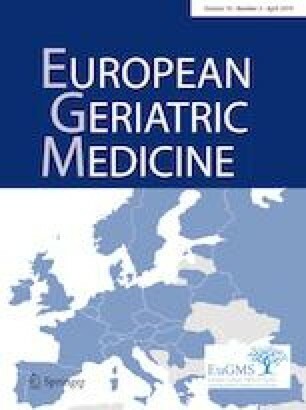 The aim of this study was to explore the link between salivary amyloid β42 level (as a surrogate marker for Alzheimer’s disease pathology) and mild cognitive impairment among old diabetic patients. There is an increased salivary amyloid β42 level among aged diabetics with mild cognitive impairment without other central nervous system disorders. Its level is affected by diabetes control but not the duration of diabetes. The elevated salivary amyloid β42 among diabetic patients with mild cognitive impairment may offer emerging evidence suggesting a possible contribution of Alzheimer’s pathology. However, linking it to amyloid burden using amyloid positron emission tomography tracer is highly needed. The underlying pathology for cognitive decline in diabetic patients is uncertain. It was originally linked to vascular causes; however, possible contribution of Alzheimer’s pathology was debated. This study explored the link between salivary amyloid β42 level (as a surrogate marker for Alzheimer’s pathology) and mild cognitive impairment (MCI) among old diabetic patients. A case–control study included 90 diabetic participants, ≥ 60 years of age, divided into 45 cases with MCI and 45 controls. Patients with history of head trauma, any central nervous system pathology, depression, dementia or delirium, those who received anticholinergic drugs, or refused to participate in the study were excluded. Assessment of the relationship between salivary Aβ42 level and neuropsychological performance was done using a battery consisting of the logical memory test, forward and backward digit span tests, category fluency test, go/no go test, stick design test, and second-order belief. Salivary Aβ42 levels were higher in MCI diabetics versus controls (P = 0.014), it predicted MCI among aged diabetics, even after adjustment for confounding vascular risk factors. Salivary Aβ42 had moderate accuracy to identify MCI (area under curve = 0.654, P = 0.008). At cut-off ≥ 47.5 pg/ml, sensitivity, specificity, positive predictive value and negative predictive value were 80%, 47%, 60% and 70%, respectively. Current data support that MCI in diabetics, without CNS disorders, is associated with a surrogate marker of Alzheimer’s pathology. Doha Rasheedy, Nermien Naim Adly, Ramy Mahdy Ahmed and Moatassem Salah Amer contributed equally to this work. We would like to thank Dr Khalid Ali, senior in Geriatrics, Brighton and Sussex Medical School, for his contribution to the scientific argument and editing of the manuscript. Study concept and design, interpretation of data, and preparation of manuscript; AMS: study concept and design, analysis and interpretation of data, and preparation of manuscript ANN, and RD: study design, acquisition of participants and data, analysis and interpretation of data, and preparation of manuscript: ARM. The authors declare no conflicts of interest with respect to the authorship and publication of this article. The study methodology was reviewed and approved by the Research Review Board of the Geriatrics and Gerontology Department, Faculty of Medicine, Ain Shams University. This study has been performed in accordance with the ethical standards as laid down in the 1964 Declaration of Helsinki. Informed verbal consent was obtained from all individual participants included in the study. Verbal consent was relied upon as some participants were illiterate and could not provide a signed consent. The verbal consent was documented in the presence of a next of kin and a nurse. The ethics committee approved the use of verbal consent.